For extra functionality Love Factory can integrate Chat Factory for Instant Messaging. 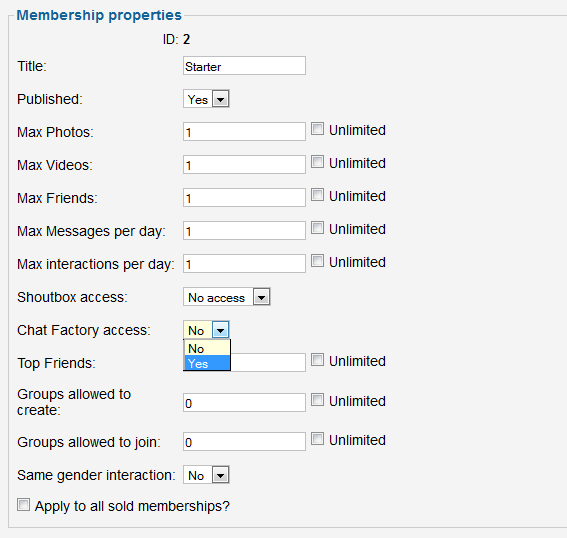 The access to Chat Factory is handled via the Membership Plans in Love Factory, after installing both extensions you will have the option to enable Chat for users in the Integration setup page from the admin backend. Only users with Chat Factory enabled for their membership can use it.